MANGALURU : Former Chief of Indian Army Ved Prakash Malik on Wednesday said that no country in the world follows human rights as much as India has been following; yet intellectuals rue human rights violation in the country. 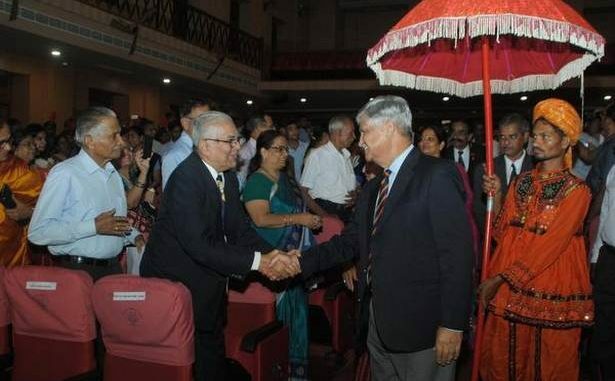 General Malik was responding to a query by a member of the audience who asked why armed forces give different treatment to an enemy and a jihadi, after his presentation of “Kargil War 1999” organised by Dakshina Kannada District Ex-Servicemen Association here. The human rights record of the so-called developed countries too is poor when compared to India, he said, while stating that the forces have to use minimum force against jihadis as it was unclear whether they are Indians or aliens. To another question on what he would have done to Kashmiri separatists if he were still the Army Chief, General Malik said that he would have sent them to different jails in the country. The ideologues have to be dealt with first as they are the ones fomenting trouble, he said. The separatist leaders, Mr. Malik said, would get killed if they are out without the security cover being provided by the Indian government. On a civilian being paraded tied to an Army vehicle, General Malik said that what else one would have done otherwise to protect the life of several people who were being stoned and assaulted by a large mob. Indian laws allow a person to kill an assailant in self-defence; but when a soldier ties a civilian to a vehicle for protection of people, you cry hoarse, he said. “I also would have charged the soldier concerned with human rights violation; but I would have condoned him considering the ground realities, if I were in charge,” he said. Media persons should go to the ground [Kashmir] to realise the situation instead of sitting elsewhere and writing about it, he said. In his presentation earlier, General Malik explained in detail about the onslaught by the Pakistani Army at Kargil and the steps taken by India to thwart it. Initially, Indian forces thought the intruders to be jihadis, to whom a different treatment is prescribed; but only later it was known that they were from the Pakistani forces. India succeeded because of strategic planning, courage, determination and comradeship, he said. Association office-bearers, district-level officials and others were present on the occasion.